The most striking feature of Wutong, the preeminent God of Wealth in late imperial China, was the deity's diabolical character. Wutong was perceived not as a heroic figure or paragon of noble qualities but rather as an embodiment of humanity's basest vices, greed and lust, a maleficent demon who preyed on the weak and vulnerable. 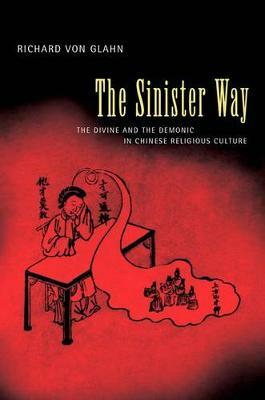 In "The Sinister Way", Richard von Glahn examines the emergence and evolution of the Wutong cult within the larger framework of the historical development of Chinese popular or vernacular religion - as opposed to institutional religions such as Buddhism or Daoism. Von Glahn's study, spanning three millennia, gives due recognition to the morally ambivalent and demonic aspects of divine power within the common Chinese religious culture.